STS Technical Services is hiring Test Technicians in Oshkosh, Wisconsin. Security Clearance: This role will allow you to obtain and maintain a Secret Military Clearance. 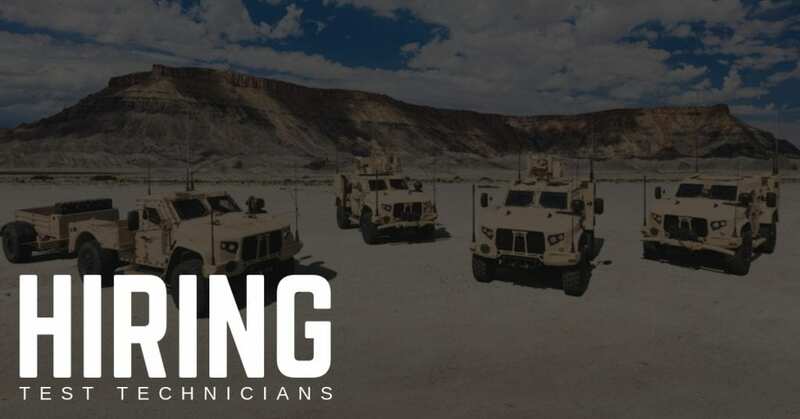 This contract would offer you the opportunity to work on the Military’s most advanced heavy wheeled vehicle – the JLTV as well as brand new test vehicles never been seen. Strong understanding and knowledge of vehicle systems (electrical, pneumatic, hydraulic and othes). Ability to obtain a Commercial Driver’s License (CDL) or a Telehandler and AWP operator license. Capable of working effectively within a team setting, while maintaining professionalism. Technical Diploma with apprenticeship experience.